Well that was the quickest half term to ever exist! I can’t believe it’s already over! As well as time flying by, it seems like the seasons are changing in the blink of an eye! It’s getting much colder and the evenings are looming upon us faster. Even when I leave school, it’s already pitch black out – where’s the time going?! To be honest, I do quite enjoy this weather – it’s perfect for layering clothes (buy all the jumpers and scarfs! I’m joking – #studentbudgets) and eating warm, cozy comfort food and warming yourself from the inside! 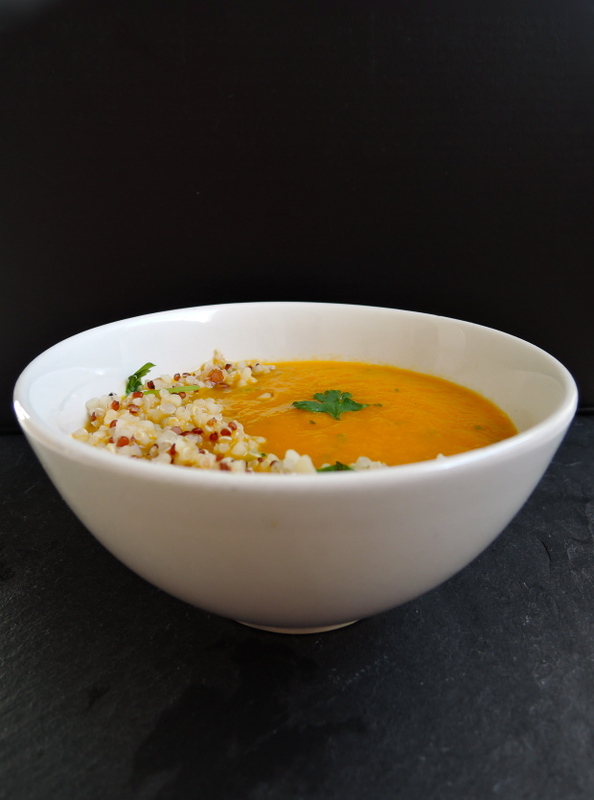 This is a simple and comforting soup for the colder months. 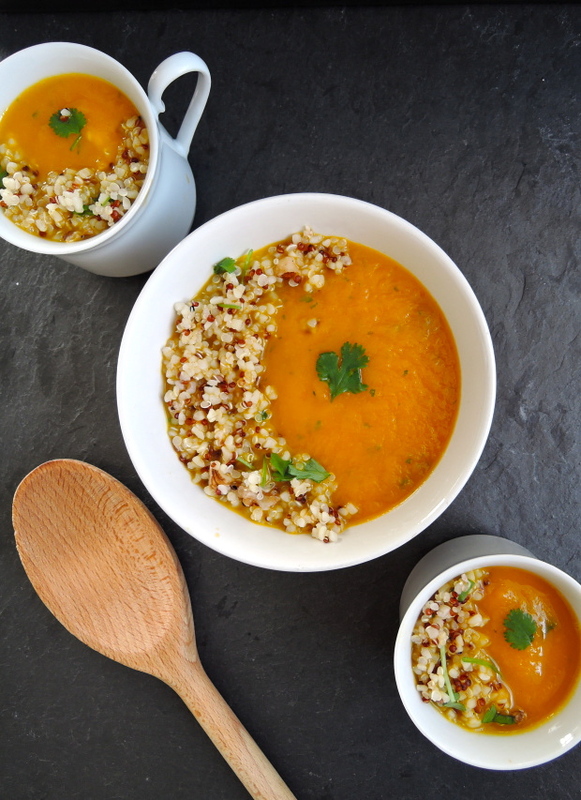 There is natural sweetness from the carrot along with freshness from the coriander and the nutty quinoa salad brings it all together – of course, you don’t have to add the quinoa to the soup but you can serve it separately instead! The quinoa also tastes delicious with some orange zest in it. Sauté the onions until caramelised and add the garlic until fragrant. Once onions and garlic are fragrant, add a splash of white wine and let it evaporate. Add the carrots and cinnamon and stir until everything is coated. Cover the carrots with stock and let it come up to a boil then simmer for 20 minutes until carrots are tender. 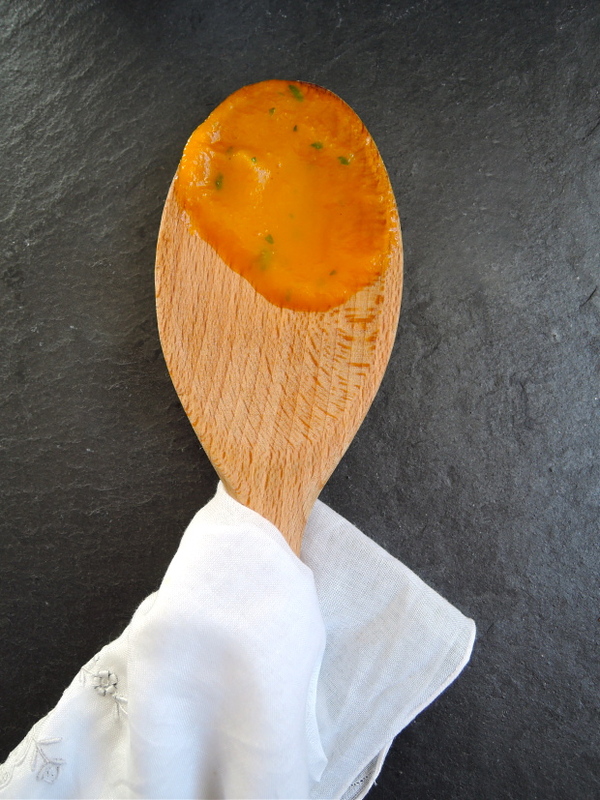 You can then blend the soup with a hand blender or a high speed blender like a Vitamix. Once all the chunks are out, add the coriander and blend slightly until soup is completely smooth. Season more to taste is necessary. To make the quinoa, combine all the ingredients in a bowl. 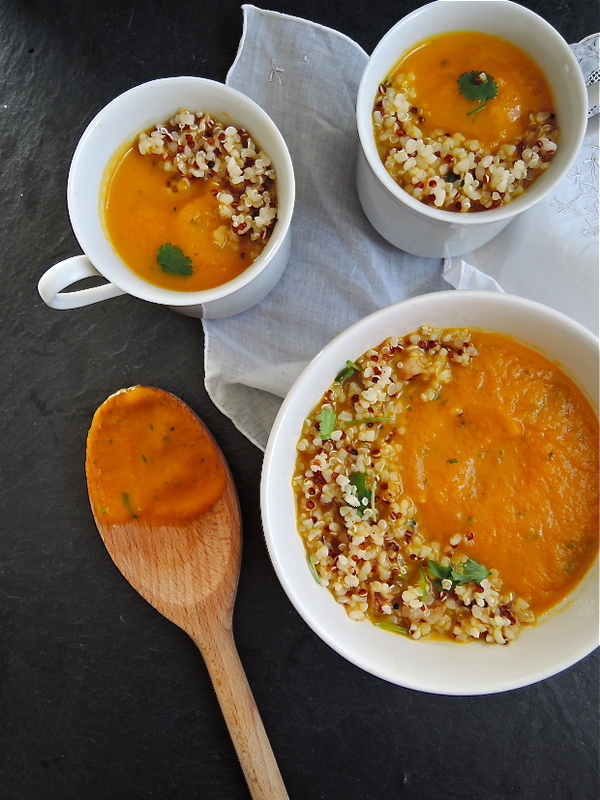 To serve, put the soup in a bowl or mug and add the quinoa to the top. Garnish with coriander. Your soup is beautiful! I love that quinoa salad on top. Such a unique and pretty topping! Beautiful presentation, looks and sounds delicious! woah this is just gorgeous! the cozy soup, the photography, the styling, it’s perfect! Thanks Myriam! Hope you get to try it out! Thanks Camilla – I’m glad you enjoyed the video! Thank you Laura – the quinoa makes it a bit more substantial!